Getting a second source on information is always nice, so here’s another look at the LG V30after the CAD-based 3D renders from last week. These come courtesy of case-maker Ringkeby way of MobileFun. 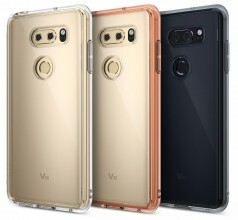 The accessory retailer says that both its US and UK sites already host the V30 cases – that’s right, the new V-series flagship is actually coming to Europe this time around! It will bring an OLED display, wireless charging and, of course, a dual camera. 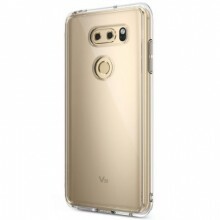 The clear case in particular shows it off well – two horizontal lenses (nearly flush with the back), an LED flash and the Laser autofocus module. Below that is the fingerprint reader, as usual. We expect official images – and the phone itself – to be unveiled on August 31 at IFA.